After the all-nighters, weekend drinking binges, and stress of your 20s is behind you, turning 30 can feel like a big milestone for your health. You might be in good shape physically. But, you may no longer have the luxury of eating and drinking whatever you want. Plus, if you don’t have kids or a life partner, yet, your fertility could come into question in a big way during this decade. Your late 20s may have been all about establishing yourself in the world and starting to develop healthy habits. However, your 30s are an important period for your wellbeing. You’ll want to continue to schedule annual visits (or every two years, if you’re healthy) for a physical, plus your OB-GYN and other specialists, as needed. Here are some questions to ask your doctor at your checkups. I’m thinking about having children soon (or someday), what can I do to make sure my fertility is on track? Women in their 30s are well aware that there’s a ticking clock on their fertility. It is more difficult for some women to conceive after age 35. That’s why it’s important to discuss your family plans with your doctor and/or OB-GYN, notes Dr. Kristine Arthur, an internist at Memorial Care Orange Coast Medical Center in Fountain Valley, California. If you’re interested in freezing your eggs, that’s another topic to discuss with your doctor in your late 20s and early 30s, Arthur recommends. Am I at a healthy weight, and what can I do to maintain it? 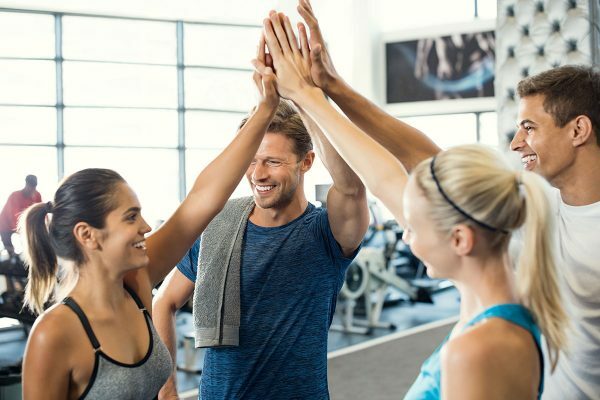 Your lifestyle, diet, and exercise habits in your 30s are important to discuss with your doctor, says Dr. Lisa Doggett, a board-certified family physician in Austin, Texas. “You’ll want to discuss lifestyle habits that may have health implications, such as substance abuse, including alcohol and tobacco, and choices around diet and exercise,” she says. Your doctor will monitor your BMI (body mass index) and use it to assess your risk for diseases like heart disease, high blood pressure, and Type 2 diabetes. She also recommends a plant-based diet with at least five servings of fruits and vegetables per day, lean meat, whole grains, and low-fat or fat-free dairy. “Watching calories is important. A lot of people tend to see their weight start to creep up in their 30s. They should take steps to keep that from happening,” she says. Do I need to be screened for cancer? As you’re keeping up with your regular health checkups, be sure to ask your doctor about which screenings you’ll need. How might stress impact my health? Do you have any suggestions for lowering my stress level? Between your job and kids, your 30s can be a high-stress decade. Doggett says you should talk to your doctor about healthy strategies to cope with your mental health. You can also work with a therapist or counselor if you wish. Do I need to update any vaccinations? If you were vigilant about getting vaccinations in your early 20s, it might be time to renew a few of them. Ask your doctor what they’d recommend. Your 30s are an exciting time. Put in the time to find practitioners who work for you and get comfortable asking them questions—even the tough ones—so you can enjoy the healthiest decade possible. Want to look and feel your best on the big day? Team up with your significant other to hit your fitness goals.